Didn’t know what they were at first. Looked like someone had spilled rusty nail stain on the aging bleached grey asphalt streets. These streets that are not orange, but cracked like the top of a pumpkin pie. Dotted with this rust-like galaxy. I started noticing them—little rusty comets streaking across the hard surface of the road. I finally figured it out. They are acorns smashed by the traffic of tires. Never given the chance to grow. I think of how comets hit the earth. Bigger concerns than the misplacement of oak trees and their future. Trees giving us oxygen via photosynthesis. The failing Amazon. The expanded presence of not only asphalt, but meteors which could blanket us all with a nuclear winter. The skin smooth oval nut in its cuplike cap. The helmet my neighbors’ newborn has to wear for a year after she was born with a skull not big enough to let her brain grow as she develops out of the dark room of the womb. There is always something growing or not growing. My heart’s arteries, like spaghetti, not softening in the boiling water of time, but hardening. 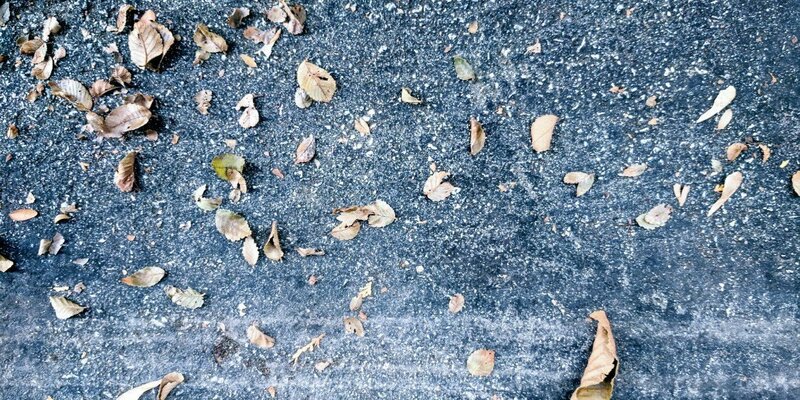 Then there are all these leaves, scurrying across the streets like brown lizards, as if they are still alive, a life of their own. Scraping with a sound like skulls rubbing up against silk. Bill Garten has been published in Rattle, Asheville Poetry Review, California State Poetry Quarterly, Portland Review, Wisconsin Review, Antietam Review, Interim, The Chaffey Review, Hawaii Review, Portland Review, The Main Street Rag and Poet Lore. He is a graduate student in the MFA Program in Creative Writing at Ashland University. His chapbook “Asphalt Heart” was a finalist in The Comstock Review’s 2017 Jessie Bryce Niles Chapbook Contest.